Part of the Bergen collection by Hudson Living, this stunning nest of tables offers a simplistic modern touch to any living space. 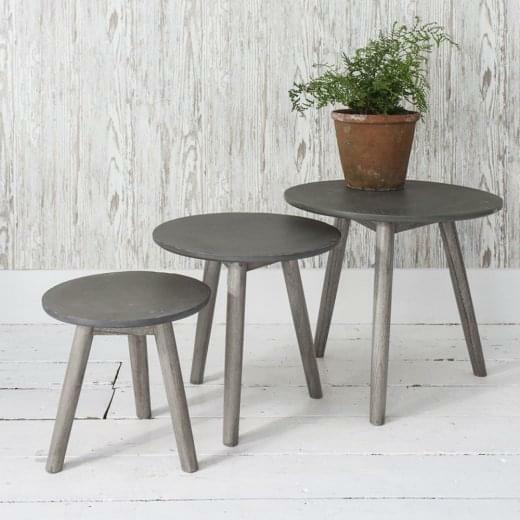 Features include three separable tables, a unique faux concrete finish and weathered grey Mindy ash legs. 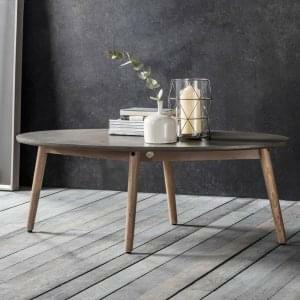 This nest of tables would suit a variety of styled living spaces.